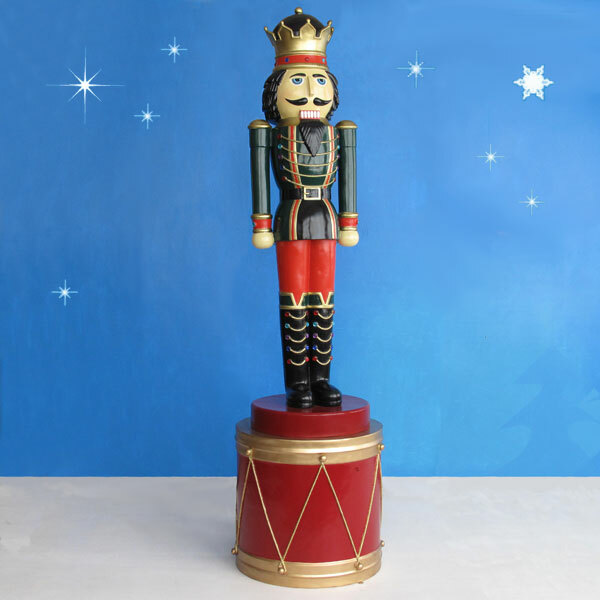 Let your holiday presentation steal the show when you use the Christmas Night Inc. 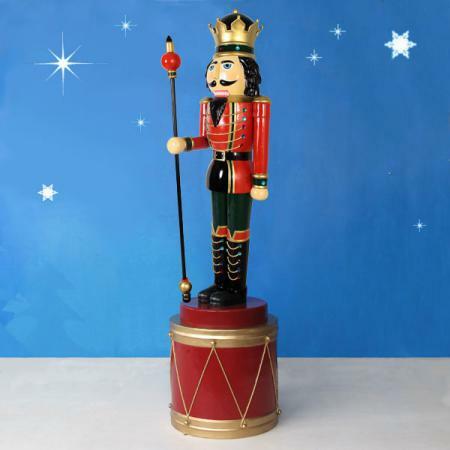 Life-Sized Nutcracker King On Display Drum as the centerpiece of your holiday display. 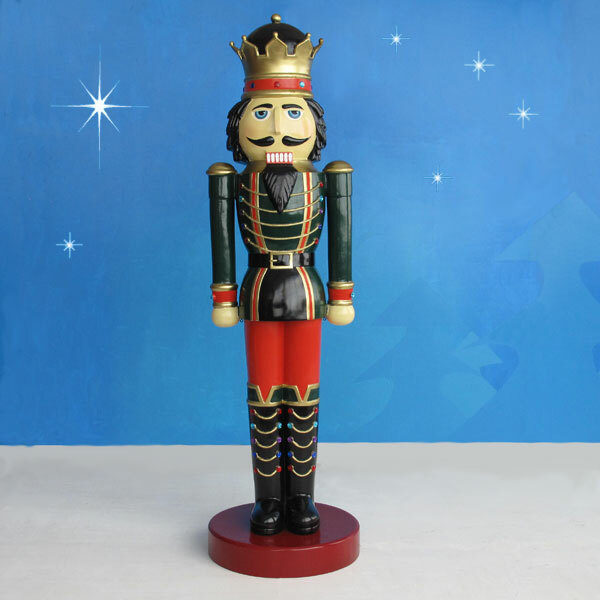 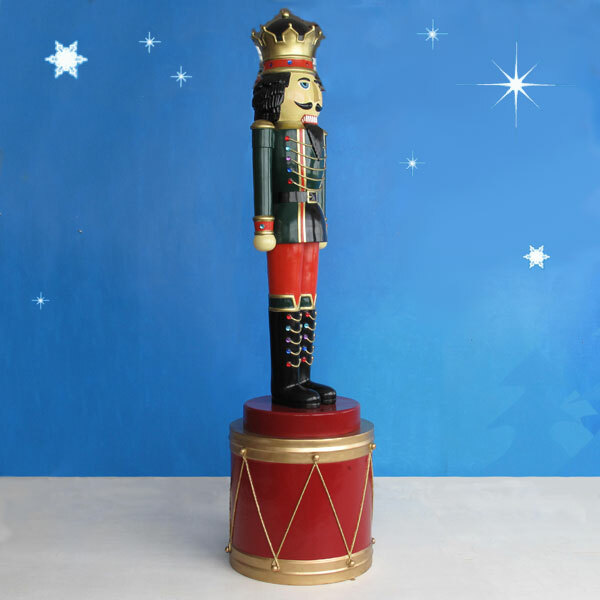 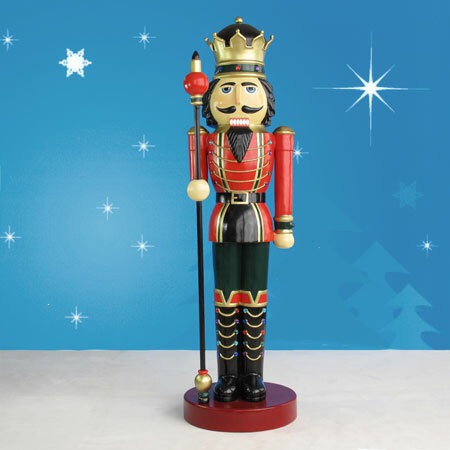 Both the high-quality nutcracker king and drum are constructed by Heinimex for the Christmas Night Nutcracker Collection using chip-resistant fiberglass that's appropriate for placement both indoors and out. 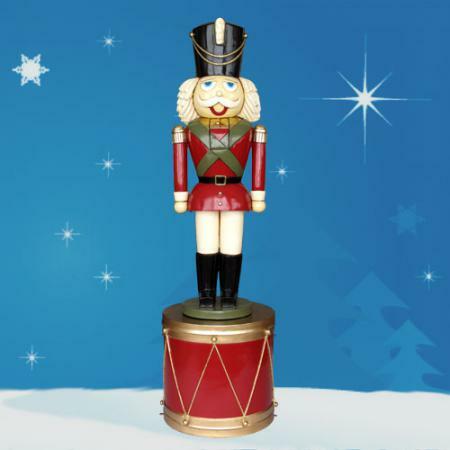 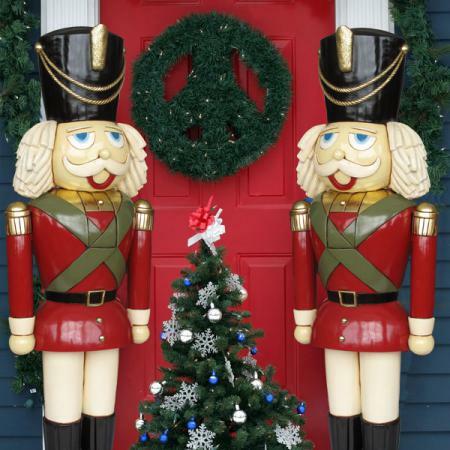 This mesmerizing fiberglass holiday figure features two pieces that can also be purchased separately, the 9-foot tall nutcracker and the display drum, which features eye hooks for safe securing. 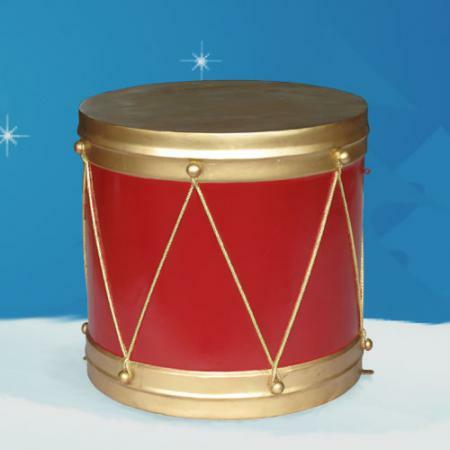 This is a Christmas Night Inc. exclusive. 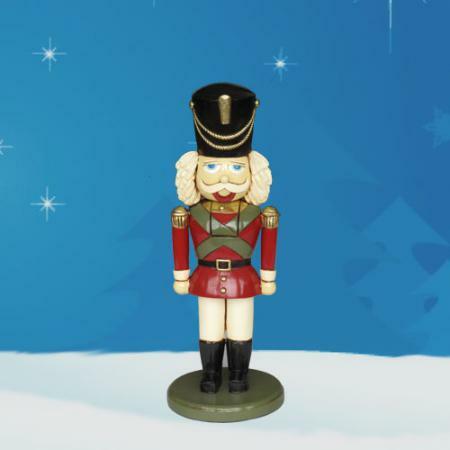 Nutcracker dimensions: L 23in. W 23in. 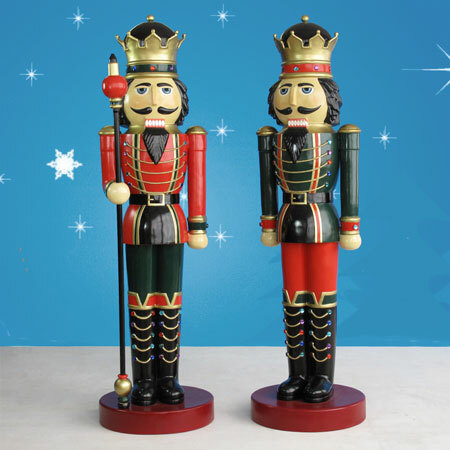 H 78in.